Ninebot by Segway miniPRO is one great hoverboard made by famous Segway and represents its comeback on the market of two wheel self-balancing scooters. This is real monster on wheels which weighs 28 pounds (around 19 kg) and runs as fast as 11 mph. You will definitely look cool riding this hoverboard anywhere you are, in school, college or job (this is great commuter vehicle). It has classy look and soul of Ferrari. Just stand on and glide with style. 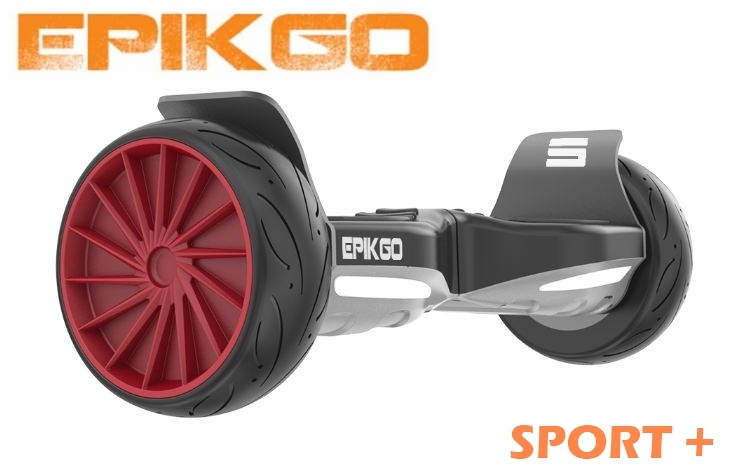 EPIKGO Sport + is one of the EPIKGO Sport Series hoverbord, UL2272 certified and thus safe for riding. The EPIKGO is based in Silicon Valley which is great plus for maintaining close relation with the customers and quick reaction for their needs. At the first glance you will notice that EPIKGO Sport + is heavy and very well built. One could think that heavier construction is the downside of EPIKGO because carrying it would not be much fun, but sturdy and durable aluminium alloy chassis, aluminium wheel fenders and 8,5″ alloy rims and wider foot pads are here to make the ride more aggressive and at the same time to prevent serious damage on your hoverboard. The EPIKGO Sport is a machine that will power you anywhere, and if you need hoverboard that is going to last choose this one. Also, one nice feature of this model are red aluminium alloy wheels giving this model very cool look. 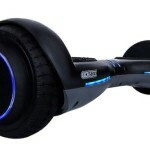 This is one of the coolest looking Skque hoverboards available on the market. 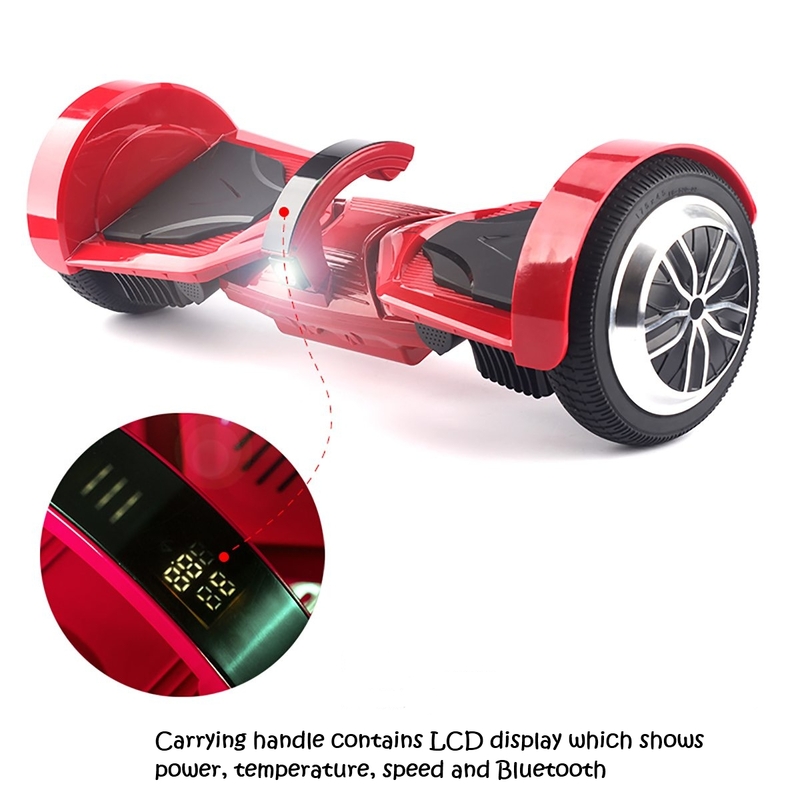 Among vast number of Skque hoverboards this 8″ wheel model is durable, stable and very cool with side LED lights on top of the wheels. 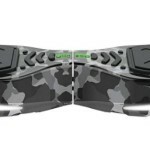 It is UL 2272 Certified Skque hoverboard with upgraded and improved motherboard with professionally tuned gyro sensors for smoothest ride, stronger shell and enhanced chassis for greater durability, built-in wireless Bluetooth speaker (only equipped in Bluetooth models) connectable with your cell phone and 1 year limited warranty that covers parts and labor. The coolest thing about this model are LED lights in different colors. 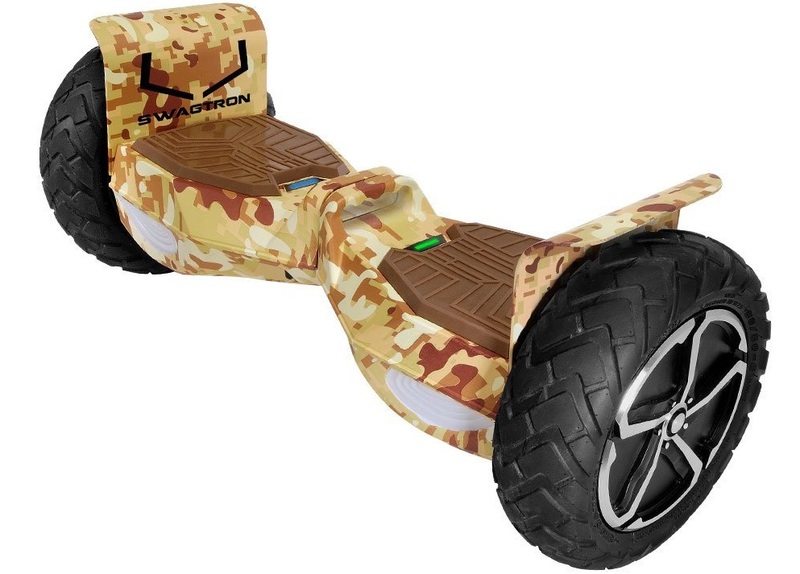 Swagtron T6 with 10″ wheels is the latest hoverboard edition by Swagtron. Indiana-based Swagtron decided to come up with they own all-terrain self-balancing scooter and that’s not all. They released this model in a cool desert camo design. This is first hoverboard on the market available for a bigger riders since its maximum load capacity of 420 lbs enables pleasant ride for people of all shapes and sizes. 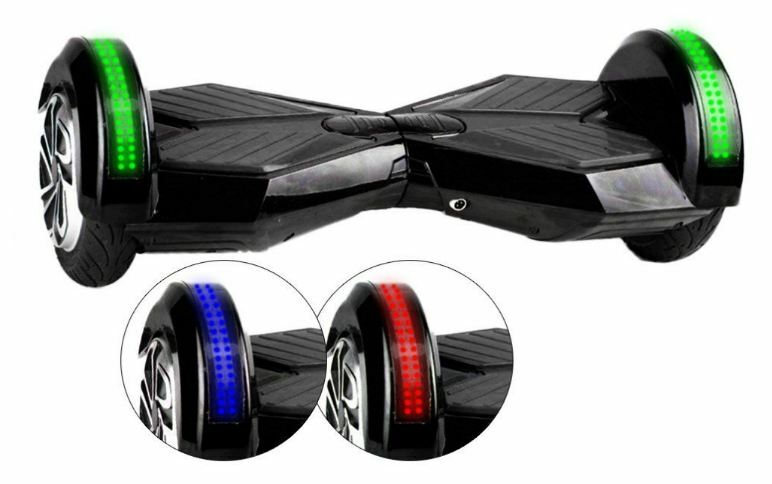 Also, for greater fun this hoverboard is packed with LED headlights and non-slip foot-pads, Bluetooth speakers, app control and built-in carrying handle. Enjoy in it!!! Koowheel K5 hoverbord (or Levit8ion ULTRA, both share the same modular design and features) with 7.5″ wheels and replaceable battery pushes hoverbord design to new grounds. The modular structure of this hoverboard gives extra stability making it stable even in off mode thus being safe for children. 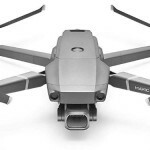 Beside 7.5″ wheels another big difference at Koowheel K5/Levit8ion ULTRA are gyro sensors where the rubber gyro sensors that fail often are replaced with gravity sensors for improved motion detection.